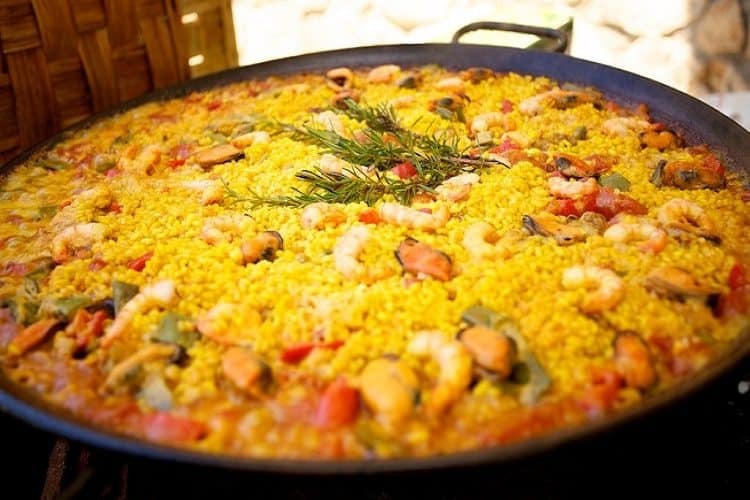 Summer Paella Party – Brand new for Summer 2018! 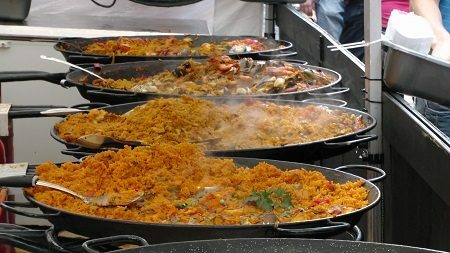 Nothing says summer more than enjoying a delicious traditional Spanish dish with your team in the glorious sunshine. This is your turn for your team to learn how to cook a colourful mixture of saffron-flavoured rice and various meats in a sizzling summer extravaganza. 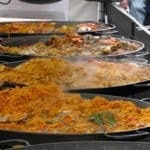 With it’s ancient roots from Valencia, paella’s name comes from the paellera, the flat, round pan in which it is cooked. Against the clock, teams will work together to create and cook a delicious paella from scratch, before enjoying the tasty results! 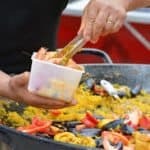 Our Summer Paella Party is authentic as can be with delicious ingredients from Spain. Prices vary depending on the number of participants and the location, please contact us for a bespoke price your group. 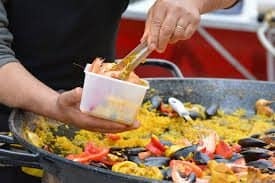 Guests will be treated to a light tapas buffet of food on arrival to ensure delegates are ready for a Paella masterclass. Our chefs will brief your group about the task in hand to outline the rules and objectives for the day including a safety briefing including knife handling & how to prepare whole chicken. Each team is tasked with creating a delicious Paella dish between them. We can make this competitive or collaborative as you like. 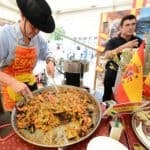 Once teams have completed their paella masterpieces judging will commence to find the tastiest paella dish. The best bit about this event is the tasting session! 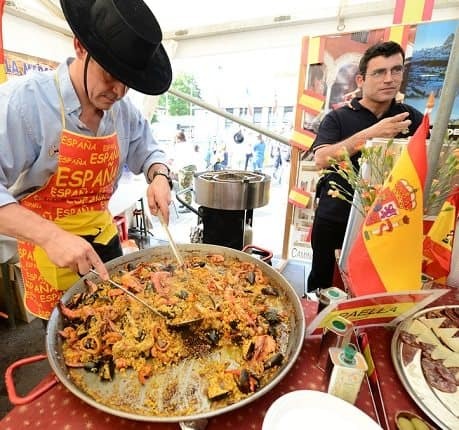 Treat your taste buds and get stuck into your delicious Spanish creations to conclude a magical summer celebration. Your team approach and execution can be marked based on criteria pre-defined by your business goals and objectives and of course prizes will be awarded! All teams will be provided with the same ingredients and equipment, they must come together to decide how they can make the best paella. Who will prepare the vegetables and meat for maximum taste and look? Will too many cooks spoil the broth? Leftover Paella can be taken away to enjoy!